The Sunninghill Hotel stands imposingly within its own grounds, a short walk from the historical centre of Elgin in the county of Moray in the North East of Scotland. Whatever your reason for choosing the Sunninghill Hotel, we strive to provide a relaxing and friendly environment combined with a personal touch. Contact “The Guvnor” to book tours or transport for during your stay, the Guvnor will adapt tours of the area to meet your parties needs. Click on the link here to find out more information on what the Guvnor can do for you. Golf and accommodation packages available. Choose from 5 excellent local courses, Click here for more details on the Speyside Golf Experience. Real Ales are made from only fresh and natural ingredients; several hundred breweries make their own unique brews giving literally thousands of different flavours. Cask conditioned Real Ale is a living product. It requires love, respect and attention to ensure the beer matures into the perfect pint. Like wines, food can enhance the flavours found within the Real Ales. Our restaurant is the ideal place to sample some freshly prepared local produce along with a flavoursome pint of Ale. 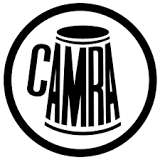 The Sunninghill Hotel is proud of our reputation for conditioned real ales and are pleased to be associated with CAMRA (Campaign For Real Ales). For several years we have been recommended in the Good Beer Guide for our conditioned Ales and have different Ales on tap from week to week. If you have yet to try Real Ale why not sit in our relaxing and friendly bar and sample what we have on offer.